The precise reproduction of twenty-six looks from the original Grunge Collection, to celebrate the twenty-five years since its debut, is no longer so much about the music, but more for the enduring style and approach of the old, and the new, the high and the low, and the paradox of vulnerability and strength. "The Grunge Collection epitomized the first time in my life that I was unwavering in my determination to see my vision come to life on the runway without creative compromise. "- Marc Jacobs. 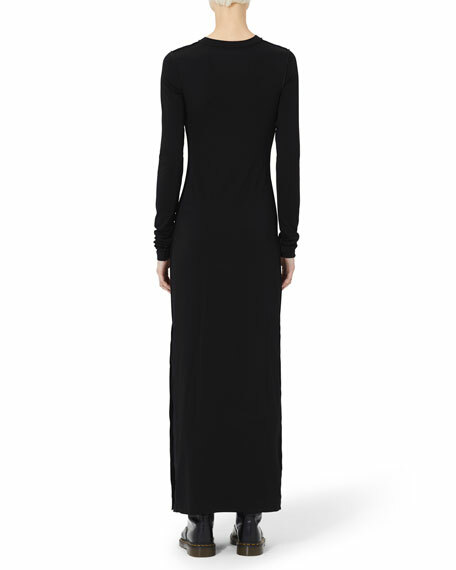 Marc Jacobs dress in crepe jersey. For in-store inquiries, use sku #2765252.